A California congressman is drafting legislation that would introduce an adversarial voice to the secret court governing NSA spying. Wednesday’s narrow vote on the Amash-Conyers measure to defund bulk NSA data collection reflects real momentum in Congress to rein in the government’s massive domestic spying operations. As we’ve noted, there is a fairly large number of bills that would increase transparency of the Foreign Intelligence Surveillance Court, the “secret court” that has not only been approving surveillance requests but apparently creating an entirely new body of law governing what is appropriate for the government to collect. One of the more interesting ideas being discussed—including by a former FISC judge—is to have an advocate inside FISC to argue against the government when it comes to approving new surveillance programs. Not having an adversary in court when the government seeks an individual surveillance request is normal in civilian courts—but not when new case law is being created, as is apparently happening at FISC. 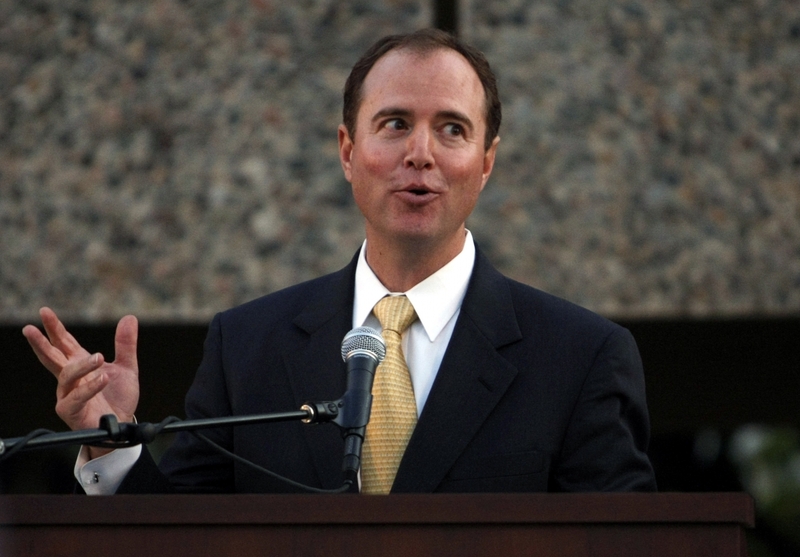 Representative Adam Schiff, a Democrat from California and former assistant prosecutor in the US attorney’s office in Los Angeles, is drafting a bill that would do just that. Why do you think the Foreign Intelligence Surveillance Court needs an advocate? I think the adversarial process generally improves the quality of the work product, so giving the judges the opportunity to hear contrary views, hear contrary case law, I think will strengthen the legal reasoning and the soundness of the opinions from the FISA court. As long as it can be done in a way that protects the classified information, then I don’t see why that should be a problem. There’s really no downside to having the court get the benefit of multiple viewpoints on very important constitutional questions. Who would appoint this advocate? How would you ensure that he or she is not appointed by the same people who appoint the judges and the prosecutors here? What we’re looking at, in terms of a bill draft, would give the [Privacy and Civil Liberties Oversight Board, an independent executive branch agency made up of legal experts] a very significant role, and that role might be identifying which issues before the FISA court it believes would benefit from having opposing counsel. They may also have a role in developing a pool of attorneys that could fulfill this function. Those attorneys could be appointed by the FISA court, or they could be appointed by the PCLOB itself. We haven’t figured out some of those logistical questions, but the PCLOB would be a good board to invest with the authority to identify those cases where the court would benefit from contrary views, and also the vetting of attorneys to play that role. Would you like to see the advocate take part in cases that are about case law, this matter of the expanding body of secret law that’s used to govern surveillance requests, or would it be individual surveillance requests? I don’t see it being utilized in the context of a garden-variety individual request for a warrant on a specific person, or following the contours of a previously approved program. But when you have new program requests that raise fundamental issues of constitutional law, that’s when I think you’d benefit from an adversarial process. Say this advocate sees something that he or she believes was a violation of legal norms, is there any avenue to appeal or combat a decision that the advocate feels was wrongly decided? That certainly could be a part of it, in the sense that there could be an appeal to the Court of Review (FISCR), potentially you could have an appeal to the Supreme Court, analogous to what the government is able to do if they’re turned down. We’re kind of working our way through just what the role of this adversarial counsel would be. But those are certainly some of the possibilities. Can you tell me a little about where the process is behind the scenes. Do you have interest from colleagues on this issue? I think there’s broad interest on both sides of the aisle on making reforms to the FISA court that would improve transparency to the degree that it’s possible without compromising sources and methods, that would appoint the judges in a different way—I have a bill that would provide for presidential nomination and Senate confirmation of the judges, which has bipartisan support. And I think there’s also interest in providing an adversarial quality to the court. My sense is that some of these reforms are going to go forward. They may be in precisely the form we’ve introduced them, or they may be in a different form, but I think that the movement is pretty inexorable. I know it’s all being worked out, but do you have a rough timeline for when you’d like to get this introduced? It really is only a question of how quickly we can work out some of the logistical details in the bill. Ideally I’d like to introduce it before the August recess, but I’ll have to see if I can get it done by then. How do you anticipate the White House will react? In terms of the administration, I don’t know in the sense that they haven’t relayed to me their thoughts on it, but my guess is that they may be willing to entertain an adversarial process, but they would want the attorney to come from within the Department [of Justice]. But that’s just a hunch. I would prefer PCLOB. I feel like that would have more credibility with the public, that it’s a truly independent voice. I think that even a Department of Justice lawyer could be very effective, and for the same reason that the FISA court itself is not a rubber stamp. I think they do quite rigorously test the government’s arguments and often are very demanding of the government. Nonetheless, inherently they may not have the same detachment and independence as an attorney who’s not in the department, and I think PCLOB would be a better way to go. John Nichols writes about what Congress is doing to reign in the secret surveillance program.